We anchored in The Bight. It provided great shelter and we stayed at the outer edge away from the motor boats and pleasure vessels crowding round the beach bars and the mock pirate ship… away from the hideous soca music – what sort of torture is that ? ! ,….. Time for a swim off the back…. lovely….may be a Tanqueray … or two…. The 610 acre island is privately owned, uninhabited, and features dozens of hiking trails, world famous SCUBA and snorkelling spots, as well as a stunning beach on which "Pirates Beach Bar" is located. Featuring renowned chef, Patrick Williams, and his unique take on "Caribbean Fusion" food. 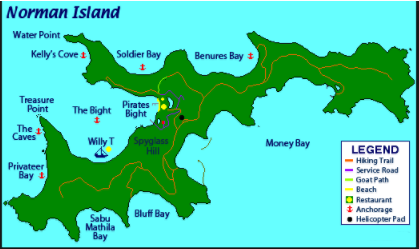 Norman Island got its reputation in part to pirates hiding their booty in the many caves that line the coast. The most well documented case of treasure trove comes from the 18th century account of the vessel Nuestra Senora de Guadalupe. “In 1750, the crew of the Spanish treasure galleon, Nuestra Senora de Guadalupe, dropped anchor at Okracore, North Carolina to seek refuge from a terrible storm. The Nuestra Senora de Guadalupe was loaded with tons of silver bars when she was badly damaged during the storm. Her captain, Bonilla, was forced to hire two English bi-landers to take his precious cargo and finish the voyage to Spain. The treasure was transferred to the bi-landers, and while Bonilla was dealing with taxation issues in Cape Fear, the crews of the bi-landers absconded with the silver and sailed away. One of the ships never made it out of the harbour in North Carolina, but the other was successful in the escape, and that double-ended brigantine ship was captained by Owen Lloyd. 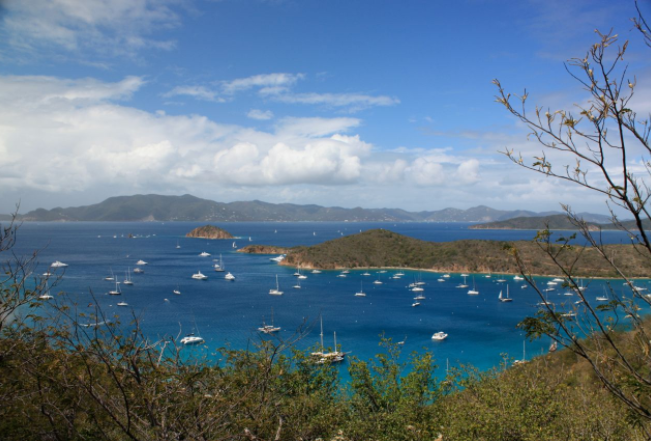 Captain Lloyd was very familiar with the Virgin Islands and considered Norman Island to be the perfect place to divide the ill-gotten gains among his crew and himself. After three uneventful weeks at sea, Captain Lloyd and crew arrived at Norman Island. On board, their cargo manifest included 55 chests filled with silver dollars, 3 large chests full of silver plates and wrought silver, indigo, tobacco and animal hides and furs. The cargo was worth $200,000 at the time; tens of millions today. 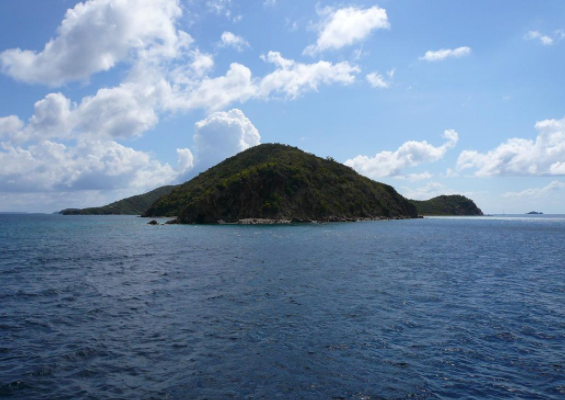 Captain Lloyd and his crew buried the treasure on Norman Island, and possibly Tortola before sailing to St. Thomas to clear customs. They left very few pieces on board–mostly conchineal (dried bodies of Mexican insects that produce a bright red dye) and a few animal hides, which they claimed at customs. However, Captain Lloyd made a fatal mistake–he left three crew members behind on Norman Island to finish burying and guard the treasure. 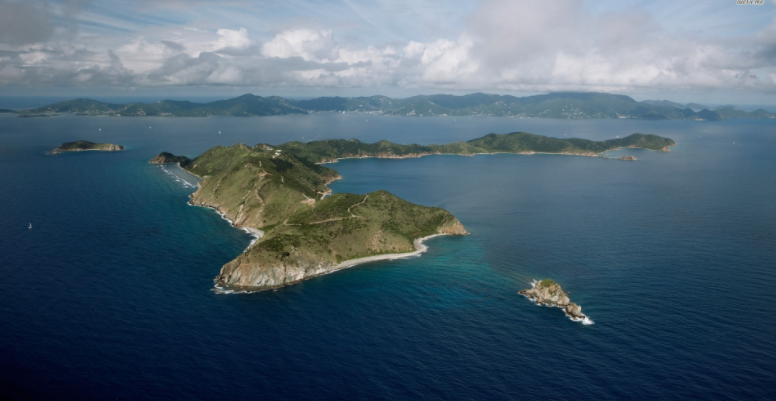 The crew members weren’t secretive about what they were doing, and soon the residents of Tortola were swarming Norman Island, digging up buried treasure. The pirates were all captured and jailed and when the frenzy subsided, only a small portion of the treasure had been recovered. Since then, many have attempted to recover the remaining treasure and there has been limited success. 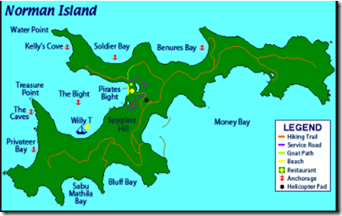 In the 1900’s, a group of English treasure hunters formed “Norman Island Treasure Company” and began blasting holes in the island with large charges of gunpowder to find the lost treasure, but they had no luck. Their activity is believed to be the inspiration for the story “Treasure Island” written by Robert Louis Stevenson. Part of the booty was discovered by Gilbert Fleming, the acting Lieutenant General of the Leeward Islands, who commissioned two companies of soldiers to travel to Tortola in search of the loot. A proclamation was issued whereby the treasure would be returned to Spain and the finder would receive a 1/3 share as a finders fee. Treasure was found, but only a portion of that listed on the cargo manifest. Soon after, it is rumoured that a descendant of a poor, local family named Creque found one of the treasure chests in a cave on Norman Island while stranded during a storm. The Creque family later became significant land owners on St. Thomas and St. John. Creque’s Alley is a well known shopping area in downtown Charlotte Amalie on St. Thomas today. The Virgin Islands still holds millions in buried treasure, just waiting to be discovered.”..
We did the US Visa Waltz yesterday. I can honestly say it was the most annoying and bureaucratic process we have experienced to date – get ready to write off a day. I am writing this as advice for any travellers following in our footsteps. I am guessing that our first mistake was to go on a Saturday. A day when a lot of villa clients were ending/starting their holiday… so first tip is don’t go on a weekend. From Trellis Bay we had another superb sail in some of the most beautiful cruising grounds I have ever seen. The weather was beautiful, the wind was beautiful, the islands were – yes – fantastically beautiful… some of the best sailing conditions ever. Just half a day sail to Road Harbour, and to anchor. The purpose of stopping here was to get the ferry to the US Virgin Islands in order to get a US visa…. but that is another story…. From North Sound we sailed in beautiful weather and light winds towards the north coast of Tortola, our destination by nightfall would be Trellis Bay. Located within Trellis Bay there is a tiny island called Bellamy Cay. Here the Last Resort Bar and Restaurant was founded in 1972. Bellamy Cay gained its name after the infamous "Prince of Pirates" Samuel Bellamy, who used the island as his base of operations from 1715 to 1717 largely due to the 12-15 foot draft of the Trellis Bay which provided protection to Bellamy's fleet during bad weather. We planned on crossing the Anagada Passage in daylight. That way we figured we would be able to see whatever nature threw at us. The chart plotter was showing that at our current speed of 2/4 kts our ETA at Virgin Gorda would be 0400. We would be arriving when it was still pitch black, but I planned on “heaving to” and just waiting till dawn before approaching any reefs.